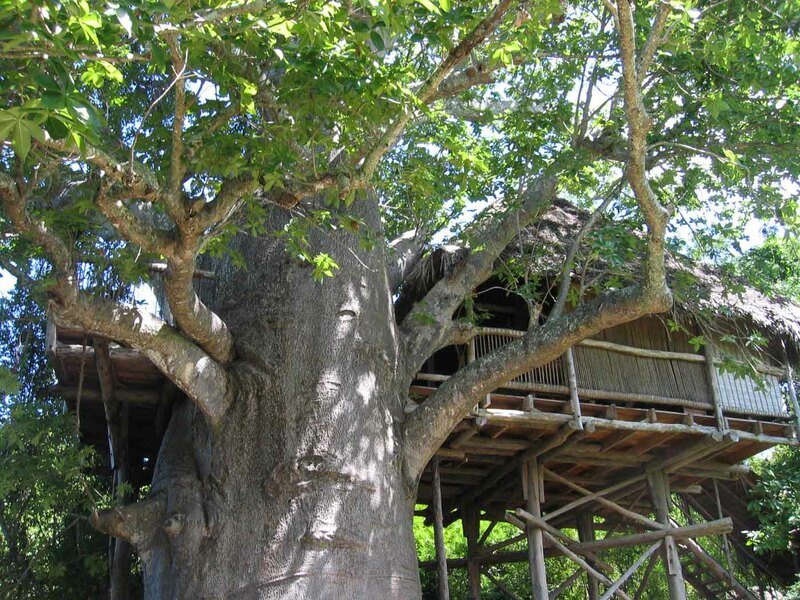 With only seven treehouses, carefully placed and designed, privacy is assured. Open to the elements, with a king-size bed the throne-like centerpiece, each thatched platform is reached via sandy paths that lead through the natural vegetation. All have views of the sea; some are close enough for you to be lulled to sleep by the sound of the tide trickling back through the mangrove roots. Most treehouses have a second level to accommodate children. As of June 15, 2015, all transfers to and from the airport are included! In addition, all beer, wine and soft drinks during dinner are complimentary as part of the dinner!